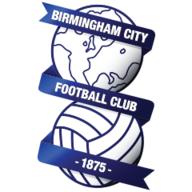 Birmingham City were denied a first win of the season on Friday evening as Matt Phillips' strike earned West Brom a 1-1 draw at St Andrew's. Six minutes before the break, Matt Phillips struck an equaliser past Lee Camp with the outside of his boot, but although the Blues had numerous viable opportunities in a feistier second period, they wasted plenty and were ultimately unable to breach the Baggies' back line. In spite of their winless run, the well-earned point moves the Blues up to 17th place in the Championship, while Darren Moore's men start the weekend in fifth, just three points behind leaders Leeds United. 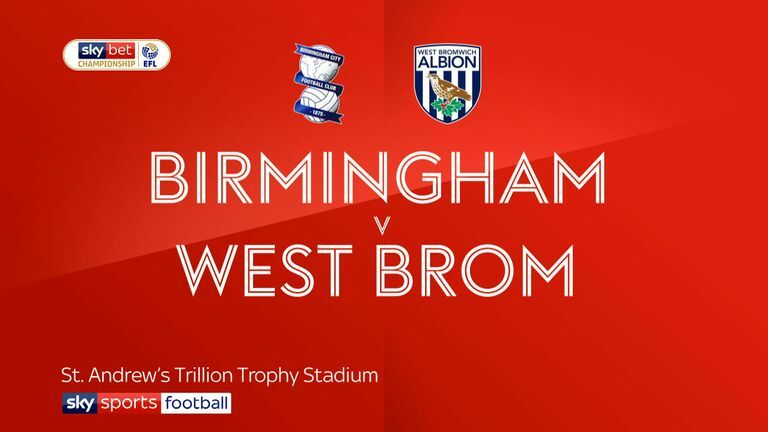 Few chances manifested in an uneventful first 25 minutes, but two minutes later the game burst into life - as the league's second-lowest scorers, it was perhaps typical that Birmingham would be first to strike. 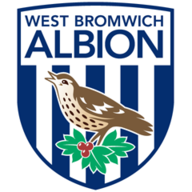 Baggies debutant Conor Townsend - a summer signing from Scunthorpe - failed to track the run of Jota and the former Brentford man got on the end of Gary Gardner's cross to squeeze an angled shot home via the post. Birmingham could have added their second of the evening within a matter of seconds when Bartley handled in the area, but Jota's poor spot-kick was pushed behind by Johnstone. Very few changes to report this evening - just one in fact. Blues boss Garry Monk opted for the same starting XI that drew 0-0 with QPR prior to the international break, while for the visitors, Kieran Gibbs drops to the bench through illness; summer signing Conor Townsend made his full debut for the club in his place. Che Adams ballooned Lukas Jutkiewicz's knockdown over the bar while, at the other end, Harvey Barnes forced a save from Camp. But, in truth, the lion's share of the chances fell to Birmingham; Jacques Maghoma failed to convert Adams' dinked cross and Jota needlessly blazed over from the edge of the area. It was a familiar storyline. Their efforts were almost deemed completely worthless with six minutes remaining, but Barnes crashed a shot against the crossbar and Phillips' off-balance poke goalwards was saved by Camp's aptly positioned legs. After a laboured start to life in the Midlands, the Spaniard is really beginning to show what he's all about. At the heart of nearly every Blues attack, he orchestrated play in the final third, but will be disappointed with his poor penalty, just moments after a nicely taken goal. The points will undoubtedly begin to roll in if Garry Monk's men can become more clinical in attack and the former Brentford man will be the focal point, and deservedly so. 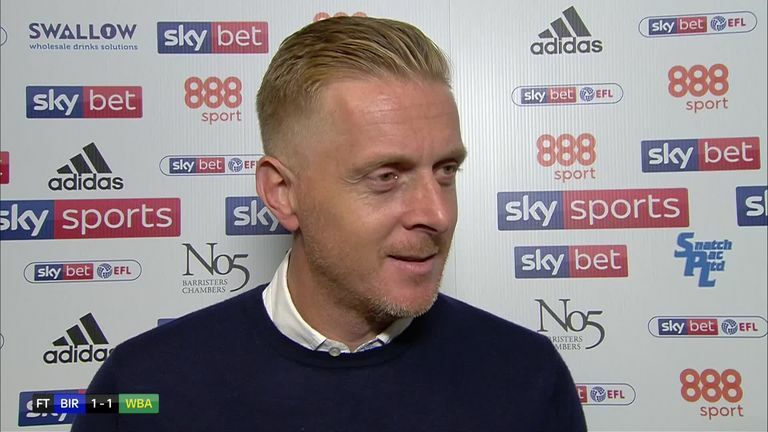 Garry Monk: "We played a really good side, who are definitely the best side we've played here this season. You can see why they are one of the favourites to go back up and we knew we were going to face a difficult game, but I thought we performed really well again, competed really well, set up well, had a good game plan and executed that for the most part of the game. "In terms of my lads, again in terms of commitment, desire, quality, we showed that again. I can't really criticise my players at all; it's a performance everyone can be happy with but we will continue to work, stick together and keep fighting." 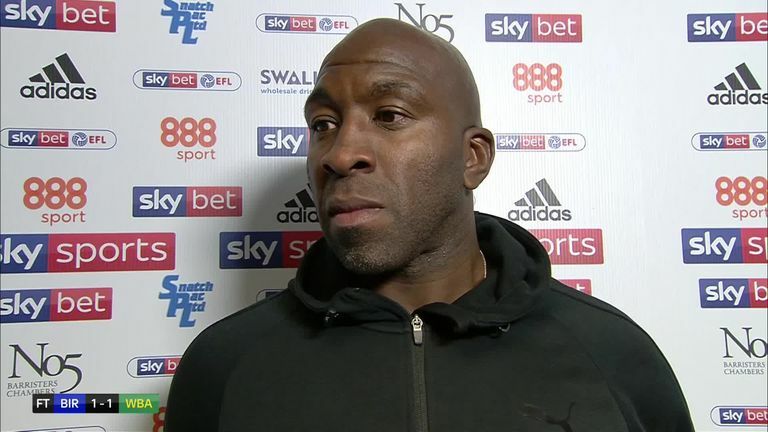 Darren Moore: "There was a lot of end-to-end action and it was an exciting draw for both teams. I thought Birmingham were very, very good tonight and they made it into a very difficult game for us. Their energy and work rate was excellent and they made it difficult for us but I'm pleased with the way the boys showed character and finished the game strongly. "It [the penalty save] was a game-changing moment. It was a tremendous save and that is why we are delighted to have Sam Johnstone at the club - he's a fantastic young goalkeeper and he's showed his worth there tonight."